The history of human civilization is nothing but a story of the close links between trade, transportation and urbanization. But this link between trade and transportation—and the growth of cities and civilization—is apparent in Indian history, too, for the Indus and the Ganges were also the best way to transport tradeables up and down the river. Mohenjo-Daro and Harappa were served by the seaside port of Lothal. And the Ganges valley cities were organically linked to the port cities at the mouth of the river. When the British came to Bengal in the early 1600s, the province was already conducting flourishing trade with the outside world. Why is transport so important to trade? Simple. The ancient principle of trade is “to buy in the cheapest market and sell in the dearest". In other words, if you buy apples in Kulu there is little to gain by selling them in Manali. To book great profits, you must transport these apples to where they do not grow, where they are scarce and highly prized—to Mumbai, Kolkata and Chennai. Venice was upstaged by Europeans buying nutmeg in the Banda Islands, transporting the nutmeg home, and then selling it there. The overland route, with many intermediaries, disappeared from use. This is the power of transportation. This is proved by history. Having said that, let us turn to transportation in present-day “centrally planned" India. Even strong words like “disaster" or “catastrophe" fail to describe the situation on the ground. Be it roads, railways, ports, airports or even fishing boats, our country is a shambles. It is this that is holding our nation down. The problem is not the illiteracy of the poor Indian; rather, it is the illiteracy of those who wield power. Let us list the losses we suffer because of this “planned catastrophe". Topping the list is the reduction in productivity for each of us. Productivity is measured in time. And a disaster of a transport system wastes time—the most important factor of production. The human engine can work only so many hours in a day. The more hours eaten up by transportation, the less there are left over for work and production. As Lord Peter Thomas Bauer famously remarked: “What limits growth in poor nations is not the limited capacity to export. Rather, it is the limited capacity to produce." The second major loss lies in the destruction of all goods that are perishable, such as fish, milk, fruit, vegetables and so on. In my travels in Coorg and Jharkhand, I was often told of the potential these regions have for exporting cut flowers. But the horrible transport system lets these regions down. In these instances, the flower farms never happen. They comprise losses that are not seen. The third loss we face because of our nuclear disaster of a transport system is the destruction of our urban habitat. Satellite towns do not develop, primary cities face overcrowding, urban land becomes hideously expensive—all these are the result of poor transport links. The destruction of our urban habitat, of course, should be considered “de-civilization"—the very opposite of progress. What can be done immediately to rectify the situation? First: Look at the 7,500km coast. The open sea is the world’s biggest highway. So, declare unilateral free trade and let loose the forces of urbanization along our coasts. Build twin coastal expressways. This will, to a great extent, solve the urban habitat problem as entirely new cities and towns erupt along the twin coasts and outcompete existing ones. Second: Build expressways in a “hub-and-spoke" pattern around every city, connecting all the outlying towns. This will allow a spread of urban population, lowering overcrowding. Third: Empower one official in each district to look after the building and maintenance of all roads in the district. Since the price of rural land rises when connected by road, this will, along with clear property titles, increase the capital available with every rural landowner, including especially small plot-holders. I have focused entirely on roads because markets can provide everything else. This includes tramways in small cities and towns. This includes modern ships and boats. This includes modern cars for every Indian. Indeed, the cars are already here. It is the roads that are lacking. Our state must, therefore, think like the Roman emperors of yore, who did not teach their subjects, but constructed roads everywhere in their vast domains. The Old Roman Road is still in existence leading up to Hadrian’s Wall in the UK. And in Cologne, Germany, outside the great cathedral, I found that the old Roman stones paving the roads have been carefully preserved. The lesson from history that transportation matters most is irrefutable. 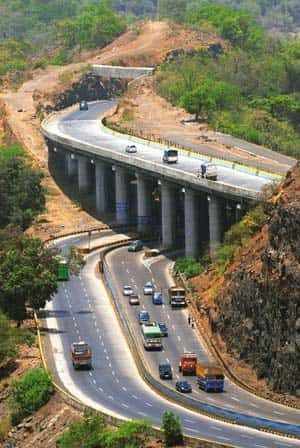 The state must build a pan-India toll-free road network as top priority.